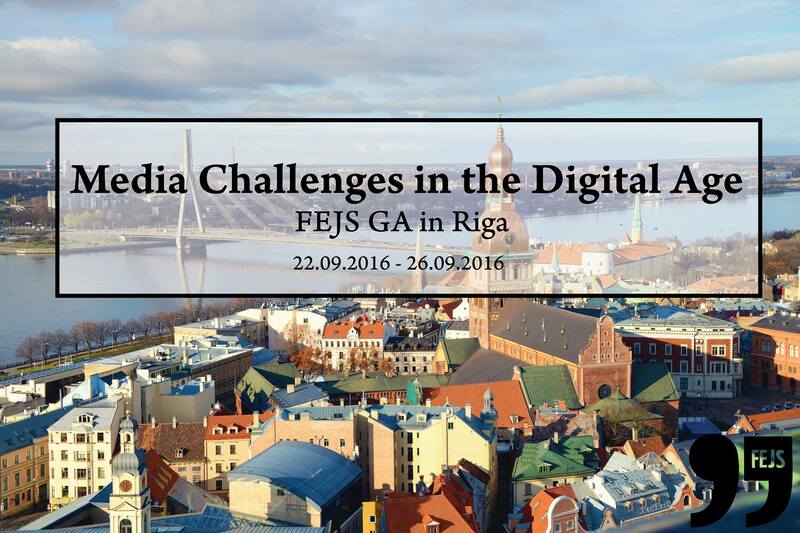 From September 22nd to 26th in 2016 GA was held in Riga. The event gathered 42 participants from 15 different countries. The theme of the event was “Media Challenges in the Digital Age”, where participants could get some valuable insights from different media workers about the new ways how to attract audiences with the journalism content and its form. GA participants had also an opportunity to hear about the recent trends and tools to use in immersive and data journalism. During the GA, the internal voting about the new Executive Board, the new Secretariat and the new Rules and Regulations were held. Overall, GA 2016 was a special event because it celebrated 30th anniversary of FEJS history with a memorable ceremony and us, journalists, from 14 different countries were celebrating the fact that we all belong to big European journalism community.